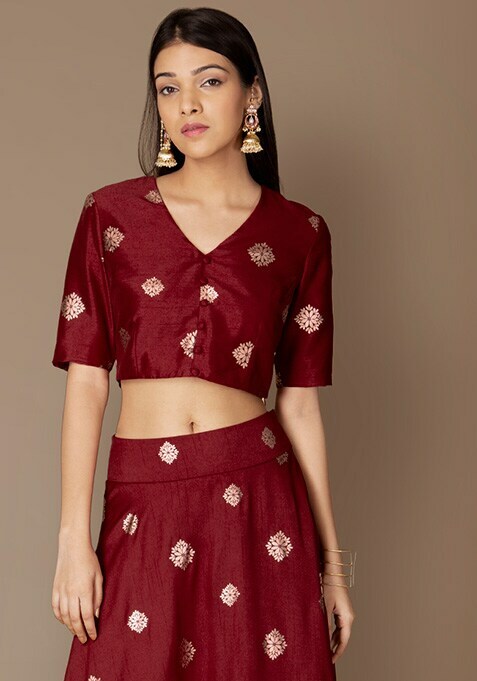 Make your saree look prettier with this trendy oxblood crop top. Features foil print and cut out back. Work It: Wear this blouse with a solid georgette saree to bring out that Indian diva in you.